The last horse tram ran on the Bath Avenue line in January 1901; by then, the Dublin area had about 66 electric route miles, of which nearly 50 were owned by the DUTC. This 19c. 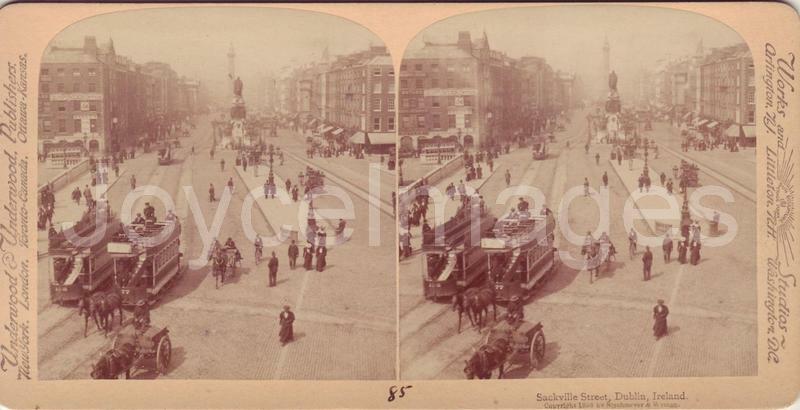 SV shows horse trams on O'Connell Bridge sometime between 1882 (when O'Connell's statue was unveiled) and 1901 (when the horse trams were entirely discontinued).